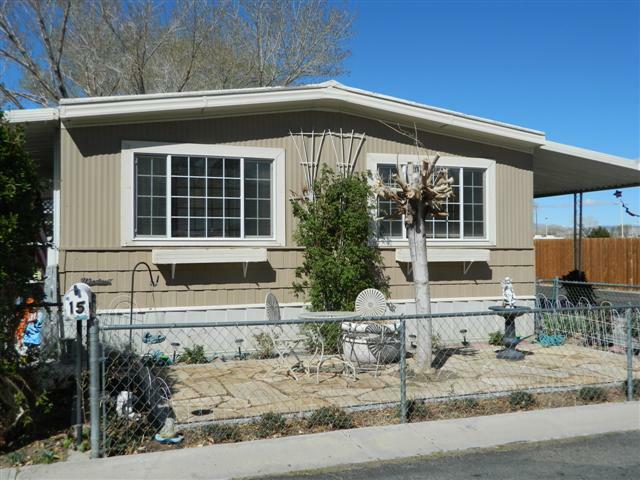 This 2 bedroom 2 bath home is located in a popular mobile home park down the street from Starbucks and near the Tri-County Fairgrounds. Open floor plan with a spacious kitchen, tiled counters, tiled floors in the kitchen, laundry and baths. Pellet stove, dual pane windows and a huge master bedroom. The space is fully landscaped and there is a storage shed at the back of the property. Two parking spaces and a corner lot.